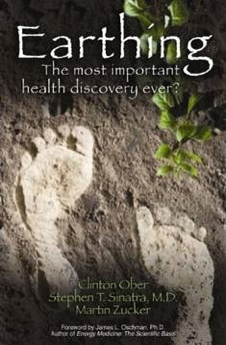 Part of the "New Year" celebration was learning about Earthing from a dear friend.... so what is it you ask? Earthing" (a.k.a. “grounding”) is an amazingly simple, yet powerful, therapy by which we reconnect to the earth’s gentle, negatively-charged surface to restore and maintain the body’s most natural electrical balance. We can ground ourselves by simply walking barefoot, or sitting / laying down, on the earth, as well as through connective devices that deliver the natural healing energy of the earth into our bodies. “Earthing,” or “grounding,” may very well be the solution for the cause of most common modern diseases: chronic inflammation. Makes perfect sense? Well sometimes the simplest of things make the best laid plans. I got the book and although the weather is not really permitting the feet touching the earth...I am going settle into a nice big chair and read. I do remember when I was a child, my favorite season was summer, all that running in the sand barefoot. It did feel great... and perhaps it was affecting more than just my feet!